Publication: Afbeeldingen van zeldzaame Gewassen. Plate 10. Notes: Rapidly spreading introduction, restricted to west of the Cascades (Zika 2006b); often confused with native I. aurella east of the Cascades. » Ornduff, R. 1966. 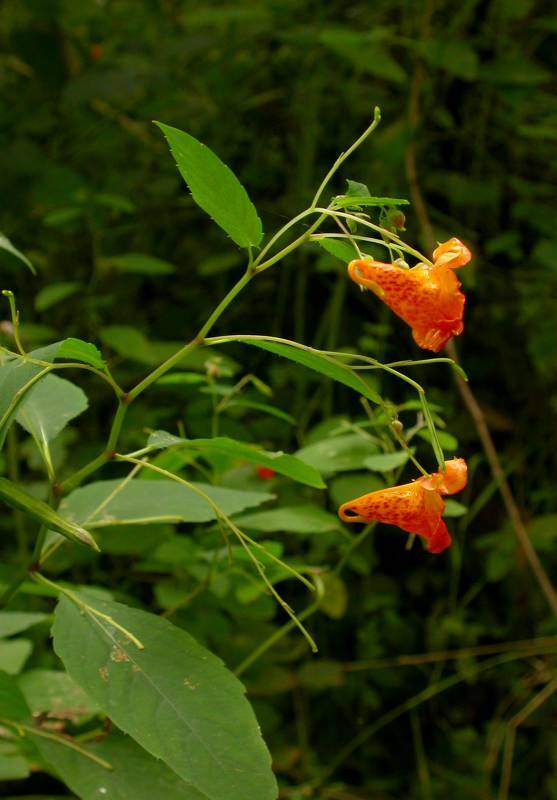 Impatiens capensis in Oregon: native or naturalized? Leaflets of Western Botany 10: 317-319. » Zika, P. F. 2006b. The status of Impatiens capensis (Balsaminaceae) on the Pacific Northwest coast. Journal of the Torrey Botanical Society 133(4): 593-600. » Zika, P. F. 2006c. Lectotypification of the names of two color forms of Impatiens capensis (Balsaminaceae). Rhodora 108: 62-64. Impatiens capensis Meerb. f. albiflora (E.L.Rand & Redfield) Fernald & B.G.Schub. Impatiens capensis Meerb. f. citrina (Weath.) Fernald & B.G.Schub. Impatiens capensis Meerb. f. immaculata (Weath.) Fernald & B.G.Schub. Impatiens capensis Meerb. f. peasei (A.H.Moore ex Weath.) Fernald & B.G.Schub. Impatiens capensis Meerb. f. platymeris (Weath.) Fernald & B.G.Schub.